This special blog post is a collaboration with nine (yes, 9!) other bloggers in Pittsburgh to describe a perfect Pittsburgh Saturday in the summer, wherein each blogger describes his/her perfect activity within a pre-assigned two-hour slot. Alex, the blogger behind everybody loves you, came up with the idea and coordinated the effort. His blog post also starts off the day at 8:00 a.m., so to read the entire series from beginning to end, that is where you should head first. 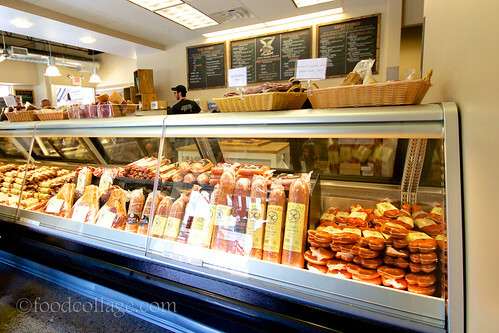 At 10:00 a.m., my perfect Pittsburgh Saturday begins with a trip to the Strip District to shop for ingredients for my marathon weekend cooking sessions. 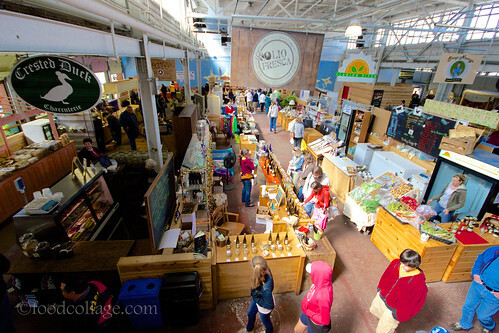 My morning might start at the indoor Pittsburgh Public Market, open Fridays, Saturdays, and Sundays and currently located inside the Produce Terminal Building at 17th and Smallman but will soon relocate to 2401 Penn Avenue near 24th Street. I love sampling the various flavored olive oils and balsamic vinegars at the newly rebranded Olive & Marlowe (formerly Olio Fresca), where owner Heather Cramer is friendly, knowledgeable, and has plenty of brilliant ideas about mixing the oils and vinegars to produce amazing flavors. 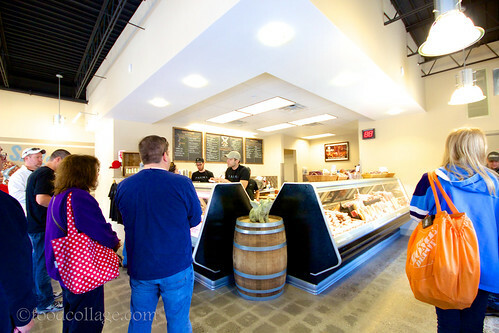 Crested Duck Charcuterie, located right behind Olive & Marlowe, is a great place to pick up some specialty (read: exotic) items if I feel like making a charcuterie board. They carry a large variety of beans as well. 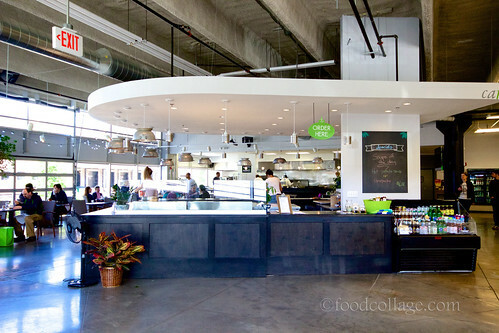 I am usually well-caffeinated by this point in the day, but for an extra jolt, I might grab a coffee at Brown Dog Java. 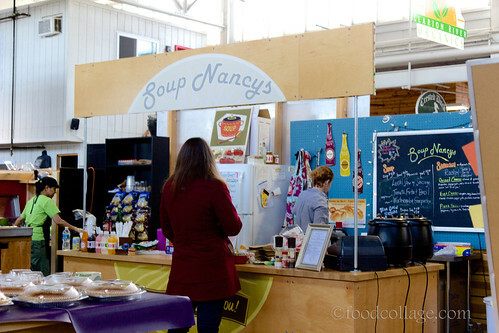 If homemade soup is on the menu for the week, then I stop by Soup Nancys inside the Market where I once bought a quart of Sengalese Peanut Soup and added coconut milk to it, then served it over chicken and rice. Ah-Mazing. 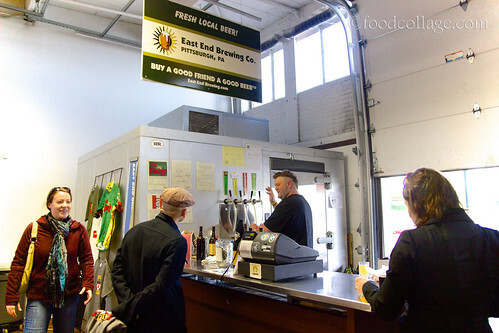 If I need some beer, I head right on over to the East End Brewing booth — my favorite brewery in Pittsburgh — to fill my growler...and maybe try a $1 sampler while I'm at it. I walk over one block to Penn Avenue where all the action is. 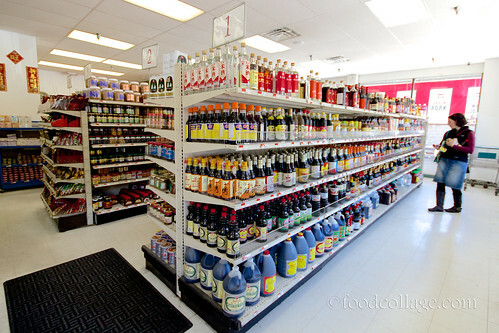 I often make meals that are Asian or Asian-inspired, so I might stop in at Lotus Foods at 17th and Penn to pick up some specialized ingredients, but if I happen to have a hankering for Korean dishes specifically, I make sure to visit Sambok down the street as well. 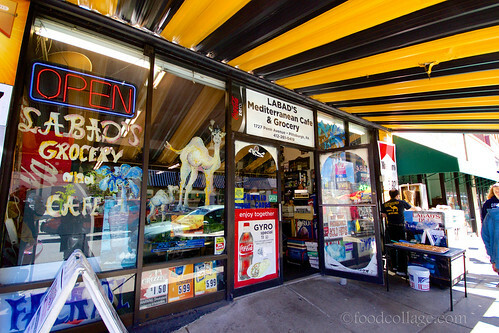 On my way down to Sambok I pass by Wholey's, where I might pick up some seafood or other grocery I need, and Labad's, which carries the best pita bread in town in my opinion and also sells a mean homemade, fresh, preservative-free hummus. 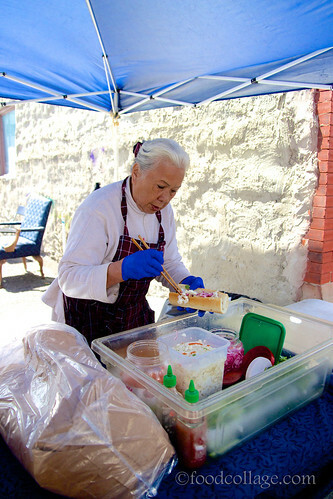 Down by 20th and Penn, right in front of the parking lot, is where my favorite "Salsa Man" Arturo Vizzuett is now set up to sell his fresh, homemade Cinco de Mayo Salsas. You will most likely find me here if I am in the mood for one of Arturo's delicious recipes. In the summers the man himself is busy doing the farmers' market circuit (he's at the Ligonier market on Saturdays) while his friend Colleen holds down the fort in the Strip. 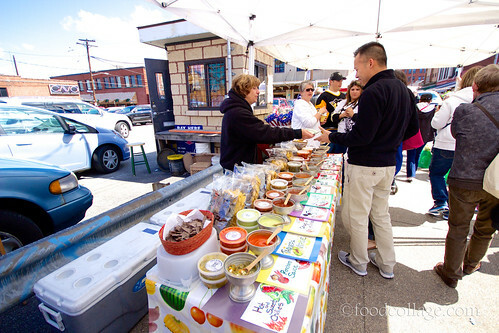 If I feel like making tacos, I walk a bit farther down to Reyna's at 21st and Penn for some delicious homemade tortillas, and then I might just cross 21st Street over to Mon Aimee Chocolat if I need to grab some semi-sweet chocolate chips. 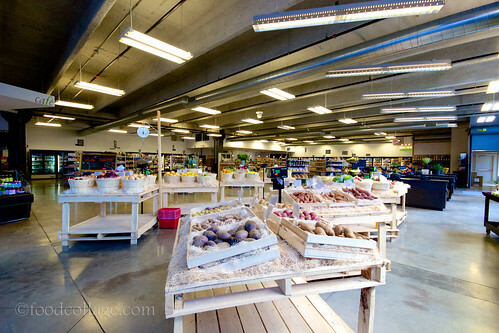 I make a stroll back down to Smallman and 23rd to shop at Marty's Market for organic produce and meats (and maybe a pint or three of Jeni's ice cream). 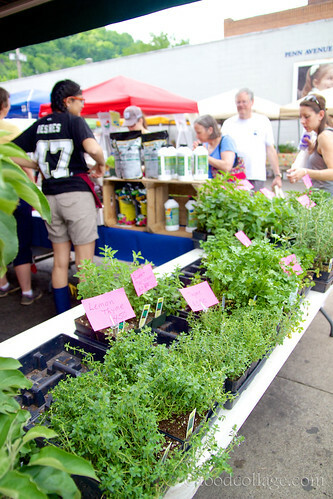 I then walk back over to Penn Avenue, cross over to the south side of the street, and check out the Farmers @ Firehouse farmers' market in the parking lot adjacent to Bar Marco where I can find fresh herbs and the latest produce. If I'm lucky, there are samples of the latest harvest being served. 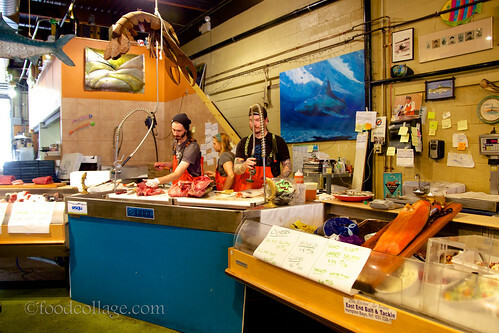 And then, just a few steps down from the farmers' market is Penn Avenue Fish Company, another great place for picking up some seafood. The Strip is getting pretty crowded and street musicians seemingly on every street corner are serenading shoppers. This is just the kind of festive atmosphere I thrive on! By this point, I am usually hungry and it's time for some nourishment. 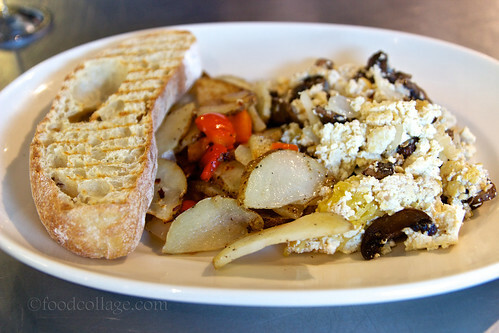 I don't go out much for breakfast/brunch given that most breakfast foods don't agree with me, but there is definitely no lack of options in the Strip that will work for me just fine. One local favorite is Pamela's P & G Diner, especially their Obama-approved hotcakes. The weekend line to get into Pamela's tends to get really long though! 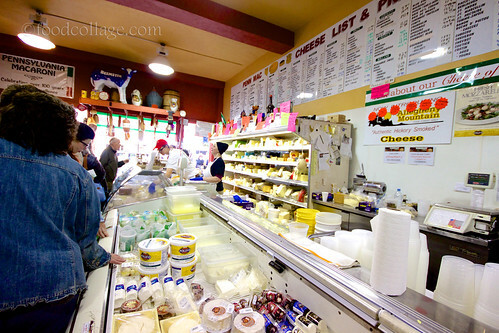 For casual fare, Marty's Market is a tremendous and healthy option. Other excellent options include Chicken Latino, Thin Man Sandwich Shop (post soon to come), Little Bangkok in the Strip, Vietnam's Pho, and Pho Van. For something a little more upscale and contemporary (and with alcohol), it's hard to beat weekend brunch at the gorgeously modern Bar Marco. Bar Marco is great about using fresh ingredients from the farmers' market in its parking lot, like that time recently I visited when fresh-picked strawberries were in abundance. 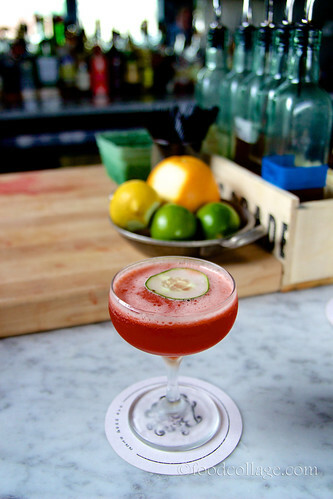 The bartender created a new drink on the spot with those strawberries, along with some basil, champagne, and salted cucumber on top —so refreshing, it was the perfect summer drink! 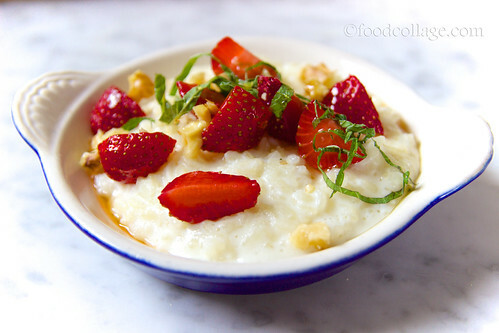 The Sweet Risotto I had was also topped with some of those farm fresh strawberries, perfectly complementing the sweet flavors of cream, vanilla, mint, and honey. 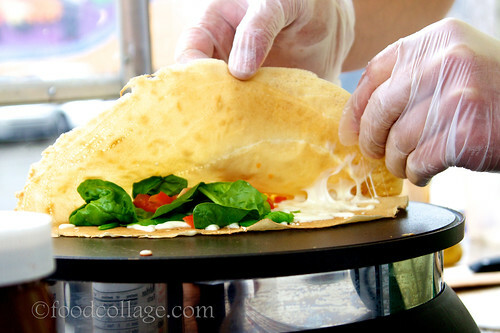 If I'm on the go and don't have time to sit down for a meal, there is always the option of street food in the Strip. 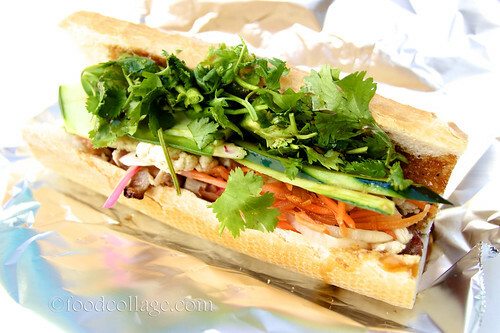 One of my favorites is a traditional Vietnamese bánh mì from Lucy, who vends right next door to Bar Marco. 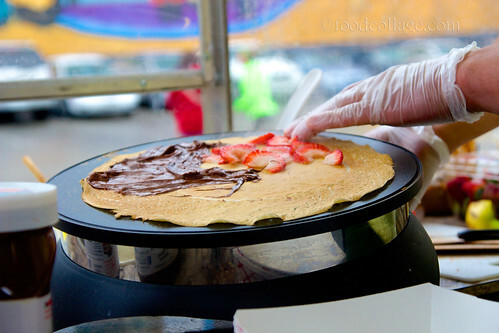 A lovely recent addition to the Strip District's weekend street food scene can be found down by 20th and Penn, where a friendly and mild-mannered Ilmir Akhmetzyanov serves up delicious crêpes out of his PGH Crêpes Cart. 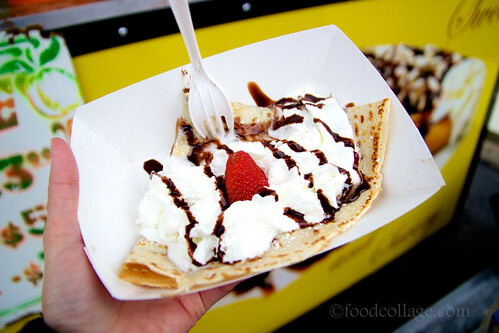 I am a big fan of crêpes and an even bigger fan of Paris, so Ilmir's cart brings back fond memories of the Parisian street crêperies I frequented on my trip there last year! 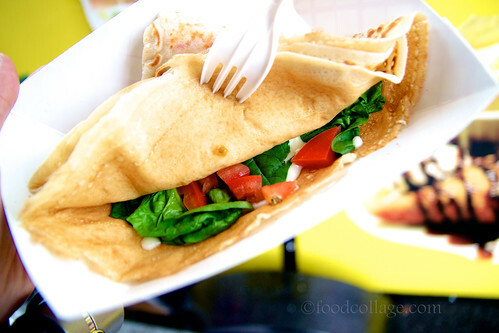 He has several varieties of savory and sweet crêpes available and boy, are they tasty! My belly is full, as is my grocery bag, and my trip to the Strip comes to an end. I recently visited a friend in Cincinnati who asked me what I love most about Pittsburgh. I mentioned shopping in the Strip District on Saturdays, but found it difficult to fully convey why I love the Strip so much in just a few short sentences. Yes, I love the Strip for its diverse offerings, the mom and pop businesses, all the homemade goodness, and frequently discovering something new and cool while I'm here (and I'm sure there is so much I'm missing in this post that I will discover on my next trip). But perhaps the thing I love most about the Strip District is all the friendly people who make the Strip what it is. When I am here, I often make a point to say hi to Heather of Olive & Marlowe, Steve of Brown Dog Java, and Regina of Marty's Market. 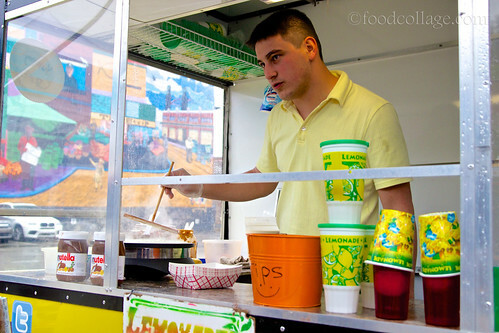 I swing by Arturo's Cinco de Mayo salsa stand and shoot the bull with him for a while (and occasionally end up with a new recipe from him), and then go chat with Ilmir of Pgh Crêpes Cart about his native Russia. The Strip District is not just a place to eat and shop, but also a place to make friends with the local folks and be part of a community. To me, the Strip feels like home—and that, in my book, is why "Stripping" makes my Saturday a Perfect Pittsburgh Saturday. Next, read about Terra's Perfect Pittsburgh Saturday from noon–2:00 pm at her blog, Stylish White Female. 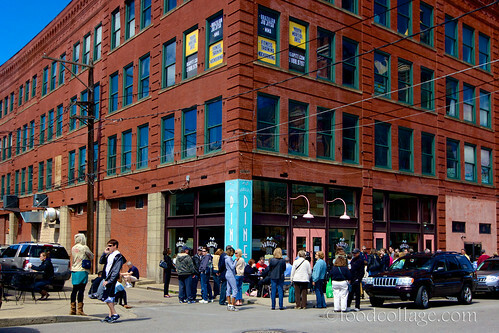 I first discovered the wonders of the Strip District thanks to a 'Burgh Bits & Bites food tour I took in September 2011. Here is a recap of that tour for more Strip District goodness and a bit more detail on some of the shops I mentioned in this post. I have been experimenting with pizzas for the past few months, and the Sweet Potato Pie at Pepperwood Grille inspired me to make my own version of this interesting pizza. I made a few modifications, using feta cheese instead of goat cheese, and substituting sundried tomatoes for roasted red peppers. 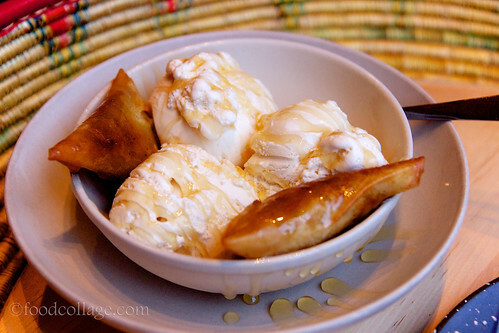 These flavors worked great together and the end result was awesome! Peel and cube sweet potatoes and cook in boiling water for 20-30 minutes, until tender. Meanwhile, heat oil in a skillet over medium high heat, then add onions. 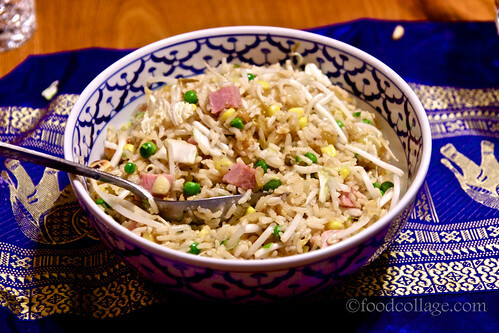 Stir constantly, until onion is caramelized, about 10-15 minutes. If onions stick to the skillet, add a splash of liquid to deglaze. Drain sweet potatoes. Using an electric mixer, mash sweet potatoes with salt, pepper, butter, maple syrup, brown sugar, milk, and cinnamon. 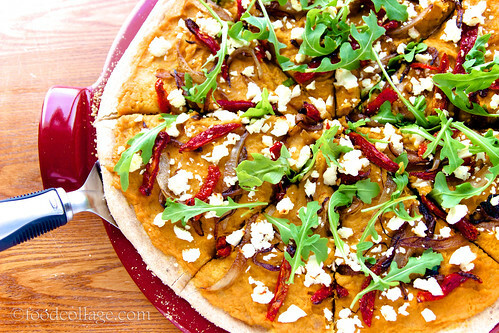 Spread mashed sweet potatoes evenly on pizza crust, then top with caramelized onions, sundried tomatoes, and feta cheese. Bake in oven for 15 minutes. 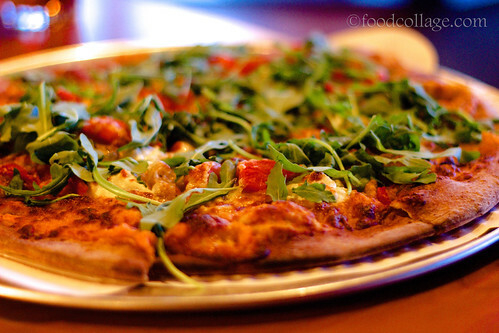 Top with arugula and serve. It is not often that R. gets to introduce me to a restaurant he's discovered, but Pepperwood Grille was one exception. He fell in love with the sweet potato pizza there and was excited to have me try it. So off to Pepperwood Grille we went one Saturday evening. We decided to start out with a couple of appetizers. 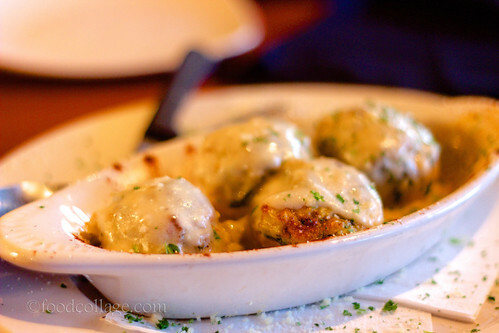 The Spinach and Artichoke Stuffed Mushrooms, topped with a parmesan cream sauce, were pretty standard, but tasty. 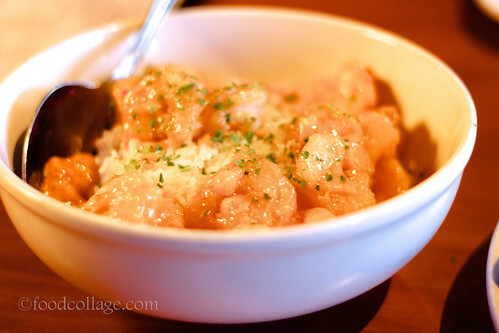 The Firecracker Shrimp was a bit more unique, tossed in a lightly spicy aioli and served over jasmine rice. We both agreed it was excellent! 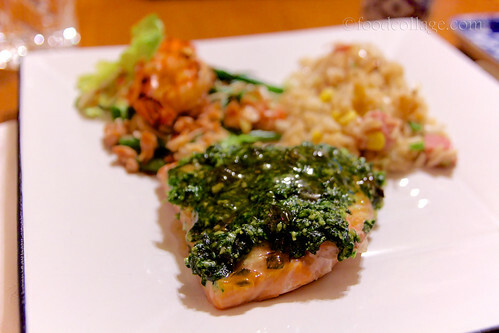 In sum, Pepperwood Grille is a good option out in this neck of the woods! To much sadness and astonishment among Pittsburgh food lovers, Abay recently announced on Facebook that it will be closing on June 30. Sad, as being the first to bring authentic Ethiopian cuisine to the city, Abay played an important role in expanding and revolutionizing the Pittsburgh dining scene. 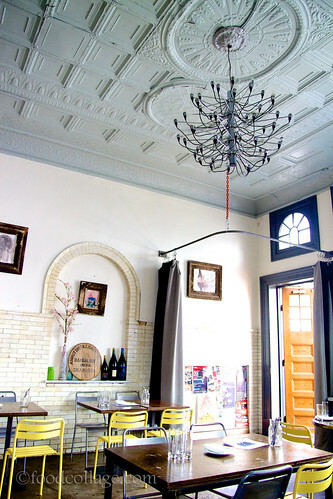 To this day, owner Jamie Wallace views Abay not as a restaurant, but a "cultural destination that happened to be a restaurant." Astonished, because the food at Abay is delicious! How can such a much-loved restaurant like Abay go out of business?? But, as the saying goes, all good things must come to an end. It appears that the reason behind the decision to close is not a lack of profit, but rather a lack of fire to keep it going. As Wallace noted in his post, "If someone with the same perspective, energy, and passion I had 10 years ago wants to continue Abay here (or at another location), we'll consider selling Abay and doing what we can to help." I most assuredly hope there are takers on his offer, but if not, may this be my final tribute post for Abay. I actually visited Abay not too long ago. 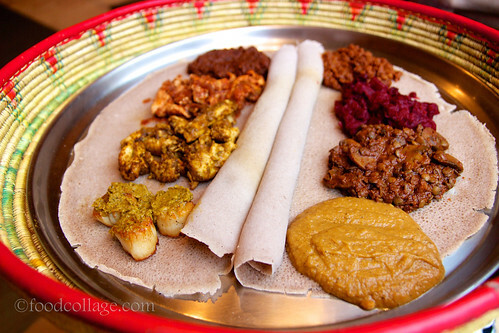 Ethiopian is R.'s favorite cuisine, and he was adamant about going to Abay for his birthday dinner because he so enjoyed our first visit there (as did I). This time, we were treated to mesob seating (basket-weaved tables) by the window, in full view of the latest residential development across Highland Avenue. East Liberty is looking to be the hottest spot in town. For our meal, we once again ordered two combination platters (the Combination Sampler and the Vegetarian Sampler) which allowed us to sample different items. 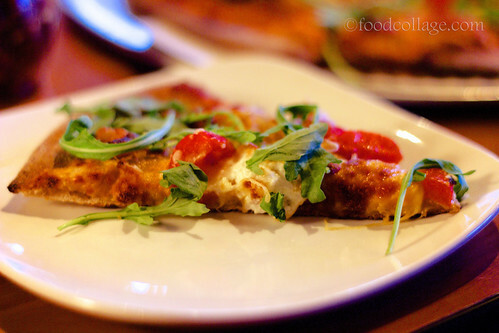 We picked a few from our last visit here that we liked, but also tried a few new ones. 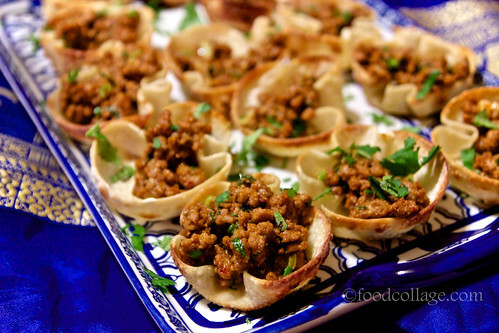 Minchet Abish — Finely minced beef simmered in a berbere stew. Doro Tibs — Strips of boneless, skinless chicken breast sautéed with homemade awaze, peppers, onions and herbs. North African Curry Chicken (special for the evening) — Sautéed chicken simmered in a spicy sauce of coconut milk, toasted spices, fresh basil, and pureed roasted vegetables. 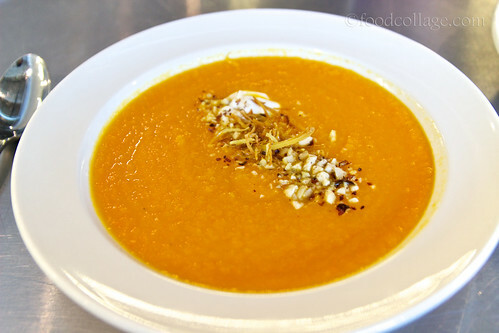 Misir Wat — Red split lentils simmered in spicy berbere sauce. Kay Sir Dinich — Potatoes and fresh beets stewed and blended with garlic, ginger and onions. Inguday Wat — Fresh mushrooms and brown lentils simmered in a spicy berbere sauce. 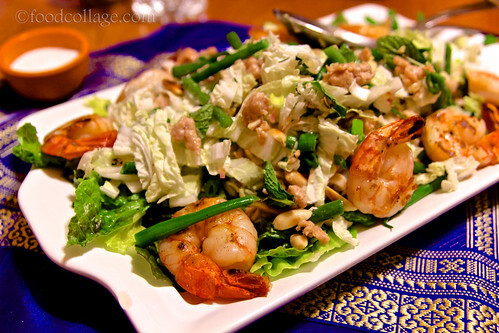 Shiro Wat — Finely ground split peas, lentils and chickpeas simmered in berbere and a combination of seasonings. I'm not sure where we found the room, but after the scrumptious meal, we each ordered a dessert. 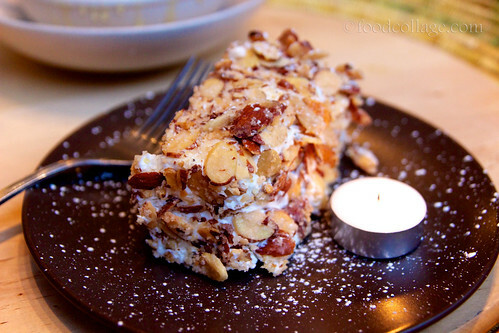 I opted for the Burnt Almond Torte while R. got the Pumpkin Sambussa with Honey Ice Cream. I mentioned it was R.'s birthday, and the staff was nice enough to bring a candle with our dessert. We definitely left with happy bellies that evening. Little did we know that it would likely be our last meal at Abay. To the crew at Abay: Thank you so much for all that you've done to broaden the culinary horizon in Pittsburgh. I thoroughly enjoyed your exceptional food and service, as well as learning more about Ethiopia along the way. Goodbye, Abay, and thanks for the memories. 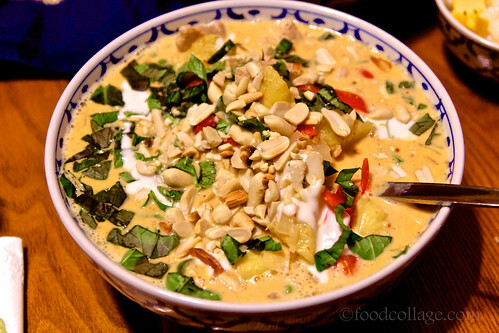 When people ask me to name my favorite cuisine, my answer is sushi, but Thai is a very, very close second. So when the opportunity came up to attend a Thai cooking class at Chop, WOK & Talk in the Bloomfield/Friendship area, I jumped on it. Since I have already taken a sushi class at Habitat before, Thai seems to be the natural "next step." 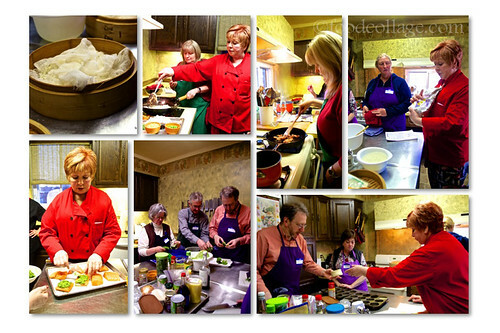 Leading the class was owner-instructor Dorothy Tague, who has trained in Thailand and brought back with her recipes that she used to show enthusiastic home cooks in the U.S. what it takes to make authentic Thai food. The entire class lasted a little over three hours. As a team, the eight of us proteges prepared a six-course meal together while Dorothy showed us the way, explaining the Thai cooking style (for example, that the Thai cuisine has four flavors: sweet, sour, salty, and hot—and never bitter) and offering tips on where to find some of the more specialized ingredients (like the Pittsburgh Asian Center in Wilkinsburg, which I have yet to visit). Each of us was kept busy with a task we were assigned—so while one person cuts up the meat, another is stirring the sauce, and yet another measures the spices. Once the food was ready, we sat down to enjoy our labor of love! The meal was amazing and I loved every single course. I also enjoyed the collaborative aspect of the class and of course, the conversations around the dinner table. 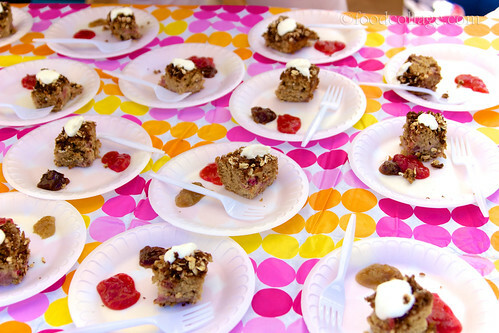 I haven't tried all of the recipes at home yet, but the few that I did attempt have garnered much praise. 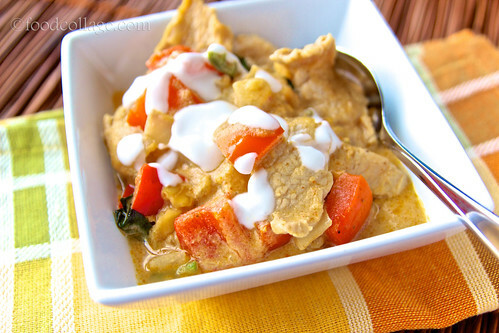 My first stab was the Pork Panang Curry, for which I followed the original recipe pretty closely but it would be easy to substitute a different meat or different veggies. In fact, Dorothy suggested throwing any veggie that's about to go south into the curry. R. was really impressed when I made this! 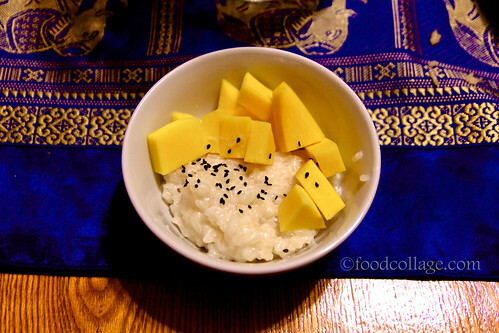 (Well, it does contain coconut cream...) Next time I might try it with some of the venison we still have leftover, considering I have had some success using venison in Asian recipes. 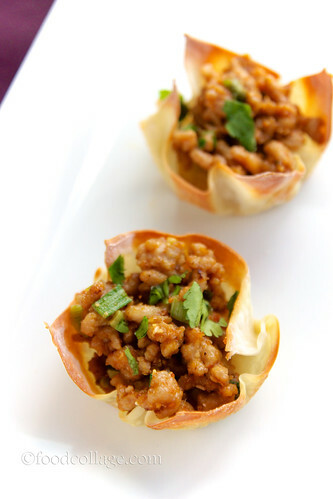 I have also tried the Crispy Pork Peanut Baskets several times, each time to rave reviews! I even made a vegetarian version using some of the ingredients from the Thai Peanut Tofu Pizza I posted about a while ago—crumbled extra firm tofu heated in homemade peanut sauce, mixed with broccoli, green onions, mango, chopped peanuts, and cilantro. 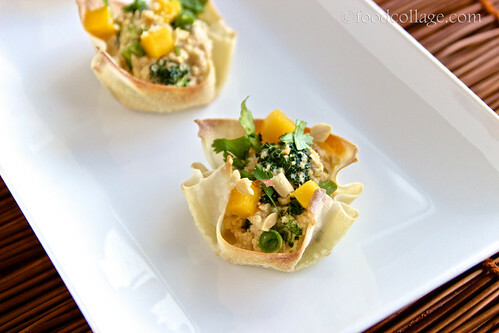 These were super addictive as well, except they were less suited for letting sit out too long (like at a party) as the crispy wonton shells would get soggy from the tofu. 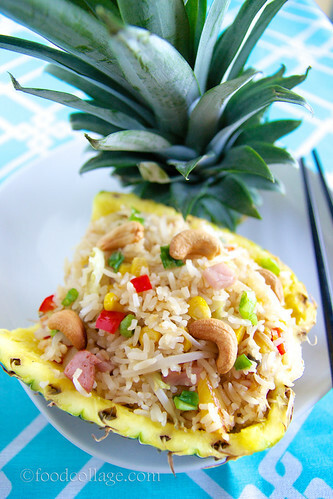 One last recipe from the class that I have tried at home was the Pineapple Fried Rice, which also turned out great. This class was a fun experience and I would go back again in a heartbeat! 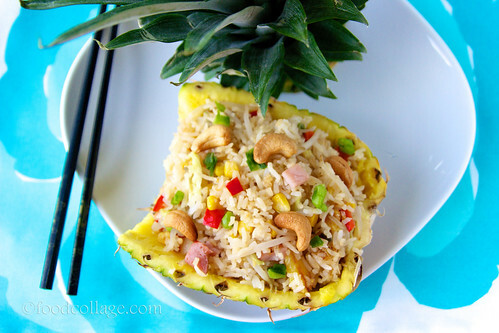 Chop, WOK & Talk also offers cooking classes in many other cuisines. For a schedule, check out http://www.chopwoktalk.com.